On February 21, 1916, German High Command launched a major offensive on the Verdun sector, designated by the French Army «région fortifiée de Verdun» (VRF). This offensive was to become the first act of one of the greatest battles of the First World War. 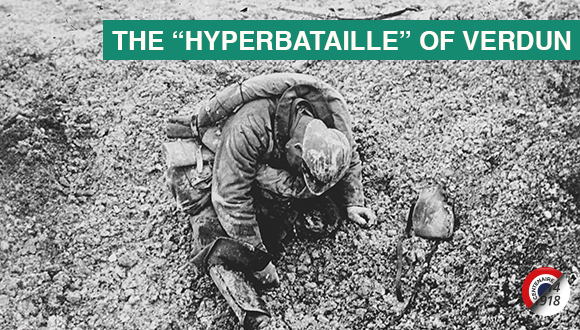 Heavy artillery fire, massive concentration of troops and accumulation of military means all contributed to the deadly nature of this battle that French historian François Cochet was the first to call one of the «hyperbatailles» of the War. However, Verdun is not just one of the greatest battles of the Great War solely on accounts of its magnitude. It also represents the symbol of the determination of France and its combatants to «hold on, whatever the cost» and, as such, incarnates French national reconciliation and unity. As a result, it quickly became a concept of spirit of place in relation to the construction of memory that summarises a four years long armed conflict or, at least, delivers a significant part of it. In this Centennial year, the main visual landmarks, the evocation of emblematic battle sites, the reminder of the major characteristics of this exceptional battle allow us to offer to our visitors a full panorama of the Battle of Verdun presented on the pillars all around the Cour d’Honneur of the Hôtel des Invalides. It also includes comments on the main milestones of its Construction of Memory, from the voluntary initiatives led by WWI veterans to the place of Memory for Franco-German Reconciliation.